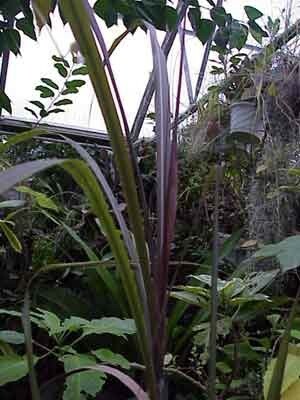 "Purple Sugar Cane" from Polynesia makes a dramatic pot plant with long elegant purple leaves ranked on the woody segmented maroon canes--long a premire favorite for collectors with a greenhouse desiring the visual design effect of this stunning "Black Magic Repellent Plant." 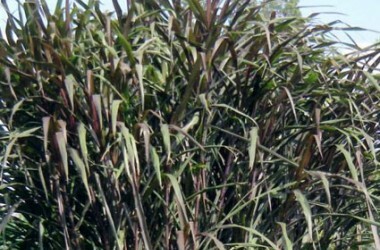 This is best known as Saccharum 'Pele's Smoke' in Hawaii where thick stemmed clumps become stunning permanent garden statements. 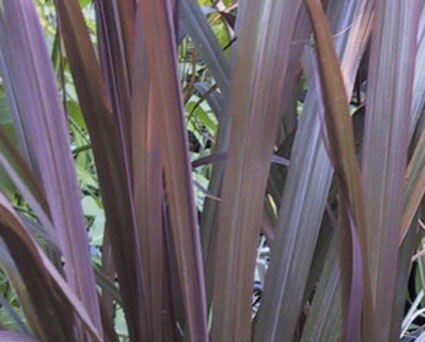 More recently this most handsome clump of dusky purple has won over temperate zone gardners bent on bringing a tropical tone to summer plantins. 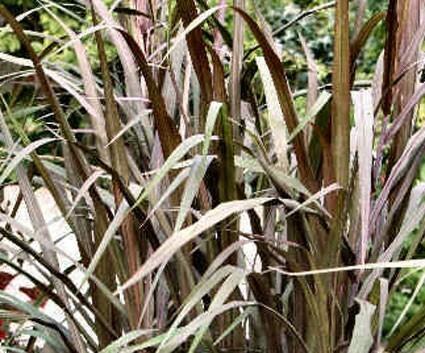 And indeed, the "Purple leaved Sugar Cane" becomes amazing when brought out into a collection of potted plants on your deck or patio. 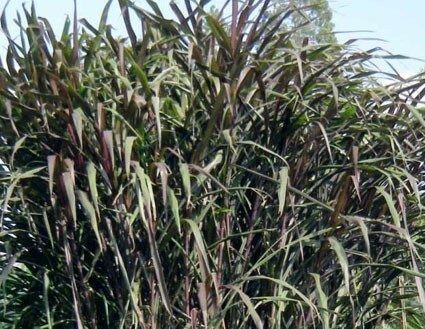 Various customers plant their ever-thickening clumps directly in their summer display beds, digging these shallow rooted clustered canes in the fall to store in their plant rooms or a corner of the hobbygreenhouse until spring re-planting. Always remember to keep the edible ornamental quite moist.